This chapter will describe the category of models that represent the behaviour and interaction of distinct individuals with specific properties. Models of this type can become very complex, but have the advantage that model structures operate on a low level of abstraction and represent ecological relations in a form similar to empirical assessment. Individual-based models facilitate studies of emergent properties, where characteristics of higher level entities like populations or communities can be generated on the basis of single actions of particular individuals. They allow to simultaneously investigate energetic and physiological aspects, behaviour, and relations to other organisms and heterogeneous environmental structures. As a technical background, object-oriented programming is frequently used for this model approach. This chapter introduces the conceptual background and describes two case studies, one that investigates spatial aspects of a predator–prey interaction, and a second one which depicts community interactions of Northern Scandinavian small mammals with oscillating population dynamics. Mason is a discrete-event multi-agent simulation library programmed in Java which provides functionality for object oriented simulations and allows detailed customisation for complex programming issues. It is optimised for fast program execution with a high number of concurrent objects. Cormas is a simulation platform aiming at the representation of interactions between human actors and their use of natural resources. It is based on the VisualWorks programming environment which allows the development of applications in SmallTalk. Cormas has a lot of pre-defined entities which the users can apply to create their own models. NetLogo is a multi-agent programmable modelling environment developed in JAVA. As it was originally designed for teaching, it is very easy to use but less flexible with regard to event scheduling. 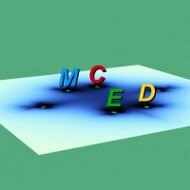 It provides a Model Library containing a large collection of simulation examples and many built-in features for model development and visualisation. Swarm is a modelling platform originally developed at the Santa Fe Institute (www.santafe.edu). It enables simulations of agent based models to be written in Objective-C or Java. Following the Swarm’s conceptual framework users write their own model by using the set of code libraries for implementing, observing, and conducting experiments on ABMs. The ABM-platform Repast is built in Java and contains a comfortable model development and execution environment that includes many built-in features such as results logging and graphing tools as well as automated connections to external tools for statistics, evaluation and visualisation. It also contains a flexible hierarchically nested definition of space and GIS support.